Howlin' Wolf Records: SIX STRINGS: Wild Eye Releasing's Horror Anthology "Hi-8: Horror Independent 8"... Right Now! Wild Eye Releasing's Horror Anthology "Hi-8: Horror Independent 8"... Right Now! 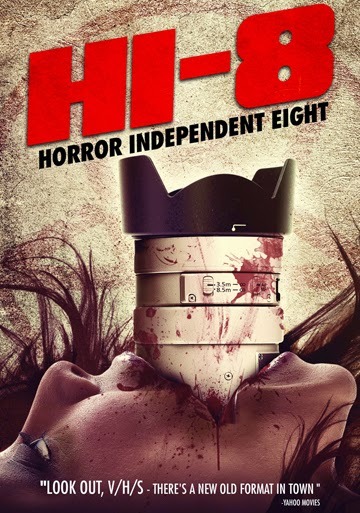 Wild Eye Releasing has announced the December 16th DVD release of Hi-8: Horror Independent 8. The eight-part anthology brings together some of the most recognizable names in home video horror of the past 30 years, capturing the creative essence of low budget, shot-on-video film-making. Called "The Expendables of shot on video horror" by Horror Hound Magazine, the directors for Hi-8 are Tim Ritter (Killing Spree), Brad Sykes (Camp Blood), Marcus Koch (100 Tears), Ron Bonk (The Vicious Sweet), Donald Farmer (Demon Queen), Todd Sheets (Zombie Bloodbath), Chris Seaver (Mulva), and Tony Masiello (SOV: The True Independents), who have returned to 80s and 90s style, gore-laced storytelling. All eight segments feature only practical effects and all directors were forbidden to use any post-Internet technology, including HD cameras, green screen, CGI or found footage. Like the V/H/S series, Hi-8 brings together independent genre filmmakers to spin tales of terror on tape. It's a showing of what it used to be like when cameras were just cameras and phones just dialed... I say dial "M" for Marvelous, Messy and Mayhem... it's worth watching if you enjoy this style.